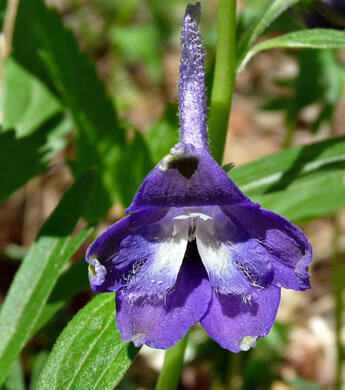 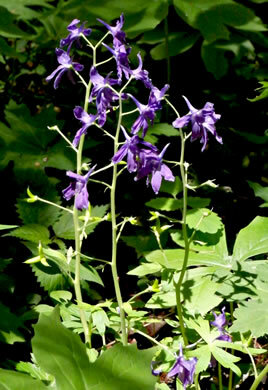 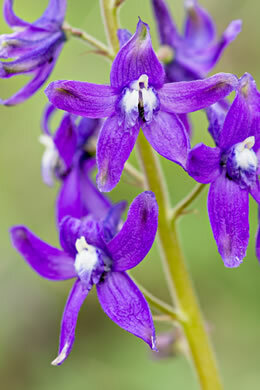 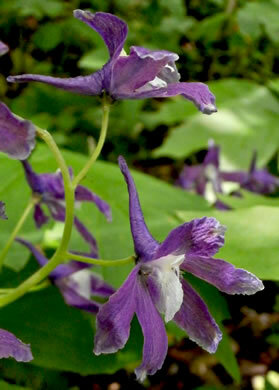 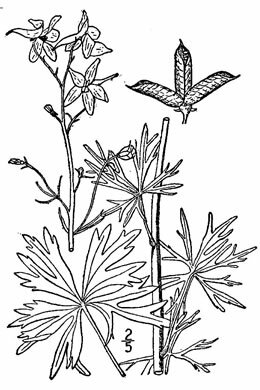 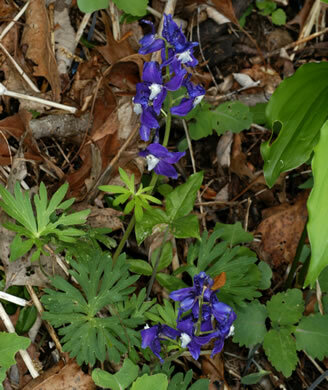 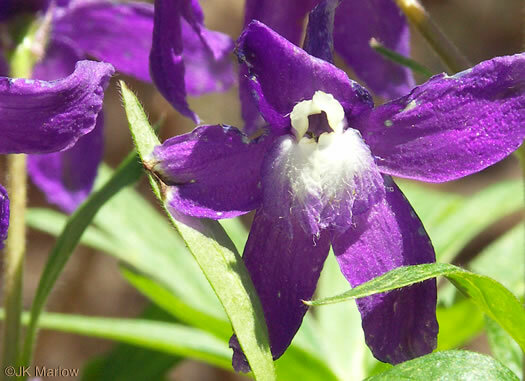 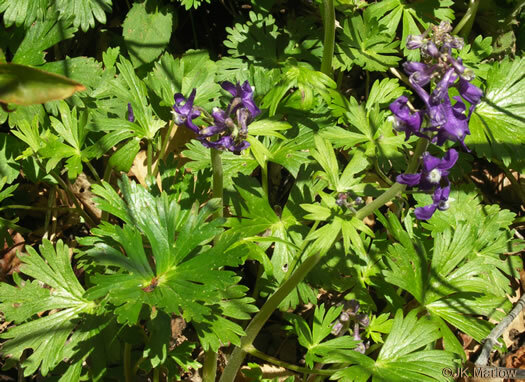 All plant parts of the genus Delphinium are poisonous, per Wildflowers of Tennessee. 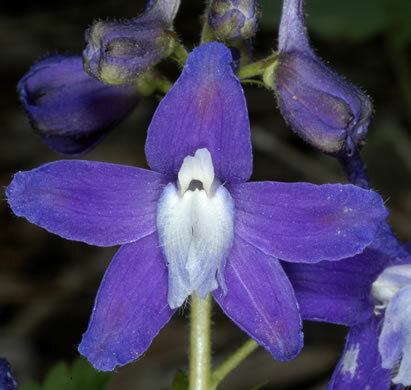 Flowers blue, white or bi-colored, per Wildflowers of Tennessee, the Ohio Valley, and the Southern Appalachians. 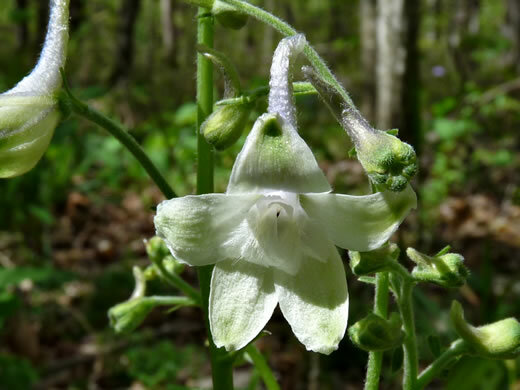 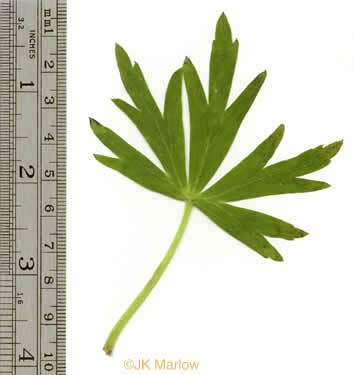 The upper sepal is prolonged backward into a long hollow spur, per Wildflowers of the Southern Mountains. 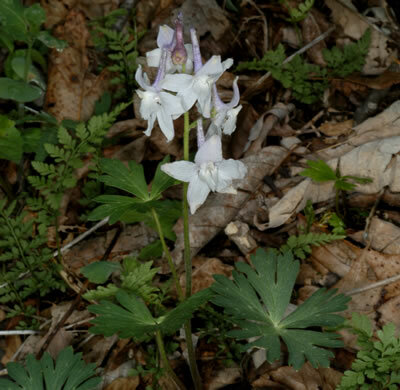 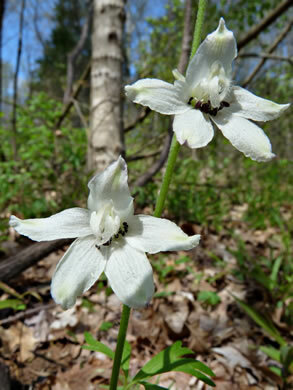 Flowers borne in a loose terminal raceme to 8" long, per Wildflowers of Tennessee. 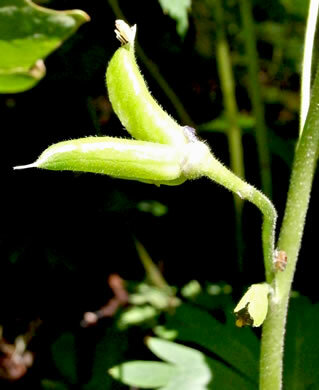 Follicles several-seeded, ellipsoid, beaked, divergent, glabrate, per Vascular Flora of the Carolinas.